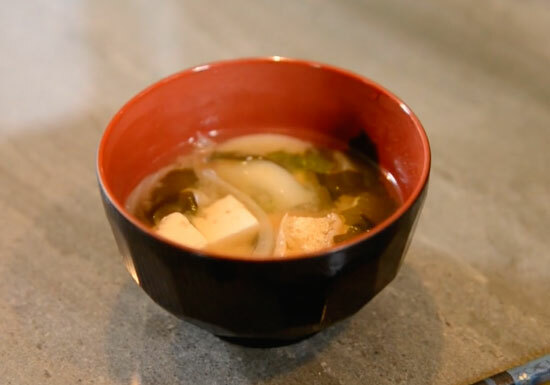 Learn how to make authentic Miso Soup! In a small saucepot, dissolve the hondashi in water. Bring to a simmer and whisk in the miso. Once the miso soup has come to a boil, add the tofu cubes and heat through. Pour into a small soup bowl and garnish with green onion. Serve immediately.